Thirukalyanam of Lord Muruga concludes the Skanda Sashti festival held after Amavasya in the Tamil month Aippasi. Thirukalyanam 2018 date is November 14. After the sixth day Skanda Sashti fasting and Soorasamharam, Thirukalyanam is held on the seventh day. It is a major event in important Lord Muruga temples. On the Thirukalyanam day, Lord Muruga marries Goddess Devasena. This divine marriage is celebrated with all traditional rituals by Murugan devotees. Special arrangements are made on the Thirukalyanam day. The previous day is the Surasamharam and this holy event too attracts thousands of devotees. 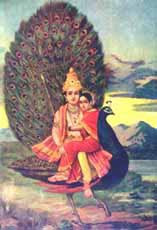 Lord Muruga is also known as Skanda, Subrahmanya, Kartik and Kartikeya. Today, Thirukalyanam is observed in Murugan Temples around the world especially in South India, Malaysia, Singapore, Sri Lanka and South Africa.